The Coeliac Society is the national charity supporting those diagnosed with the disease and is 80% self-funded. 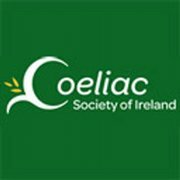 The Coeliac Society of Ireland creates awareness of coeliac disease, it’s symptoms and how to live healthy on a gluten-free diet. Response Our mission is to improve the quality of life for people with coeliac disease and others who benefit from a gluten-free diet for medical reasons. Our vision is to improve awareness, detection and management of coeliac disease and related conditions requiring a gluten-free diet for medical reasons. The Coeliac Society Food List is the 'food bible' for our members. Some members have expressed an interest in a smartphone app version of this list. We understand the benefits of an app. The Food List App would allow us to update the product list in real time. An always accessible list via an app would also give our members the freedom to grab lunch on the go, pick up some grocery essentials or a snack when they don’t have their List to hand. A huge thank you to everyone who participated in our recent Members' Survey which included questions regarding the app. An overwhelming 97.4% of you (259 people) said that you would be interested in the app, even without a barcode scanner. Given the huge costs involved, it was reassuring for us to see that 88.7% of members have said they would be willing to pay extra for such an app. The cost of developing an app is approximately €36,000. This is beyond the means of the Society so we need the support of our members to help make this happen. With this in mind we have set up a fundraising page. If 1,800 people (less than half our membership base) each donated €20 or if 1,000 (22% of our membership) donated €36, we would reach our target! We would encourage you to share this donation page with your family and friends. Together we are stronger - let's help make life easier for people living with coeliac disease.